Scrollmotion has launched the iPad app Ingage, an interactive platform that allows photographers and other professionals to create content. While it’s not specifically a photography app, Ingage does give photographers the ability to create a new kind of portfolio to share with clients. It’s really as simple as loading photos and videos into the app’s interactive page templates. Ingage also builds a responsive HTML version of each portfolio or presentation automatically that can be shared on any device. The app automatically creates sharable snippets to send in an email, a text message, or a Facebook and Twitter post. The app is free, with a paid version containing additional features for a $14.99 monthly subscription, purchased in-app. New iPad app allows anyone to create stunning interactive presentations without designer or developer resources. NEW YORK, January 25, 2017 — Scrollmotion, the world’s leader in interactive content creation, today announces the release of a new product from its Ingage software platform, an iPad app that allows anyone to create and share beautiful interactive presentations. Founded in 2008, Scrollmotion was a pioneer in the digital publishing revolution by producing the first books for iPhone, then digital iPad magazines and finally the iPad textbooks piloted in American public schools. More recently, its focus has been on creating mobile apps for enterprise and helping businesses leverage iOS in the workplace as a member of Apple’s Mobility Partners Program. Ingage is Scrollmotion’s first commercial product, resulting from years of learning and development. With Ingage, creating compelling, native interactive content has never been easier. Users simply add photos and videos into Ingage’s templated interactive page types to create beautifully designed presentations, portfolios, real estate listings, sales materials, product catalogs and more. Fundamental to creating great interactive content is using high-caliber photos. However, many businesses struggle with access to affordable, quality images. To solve that need, Scrollmotion has partnered with Shutterstock (NYSE: SSTK), a leading global provider of commercial imagery and music, to provide high-quality imagery right in the Ingage app. The API integration allows Ingage users to intuitively search Shutterstock’s collection of more than 100 million images for use in their presentations. Once a user is happy with the images they’ve selected, they can purchase the license rights with just a tap, directly within Ingage. With Ingage, viewing interactive content isn’t limited to the iPad. The app automatically builds a responsive HTML version of each presentation that can be shared with anyone, on any type of device. Updates to presentations are simple and get automatically pushed everywhere, allowing the user’s content to stay fresh and relevant. Ingage also automatically creates sharable snippets to send in an email, text message, or Facebook and Twitter post. 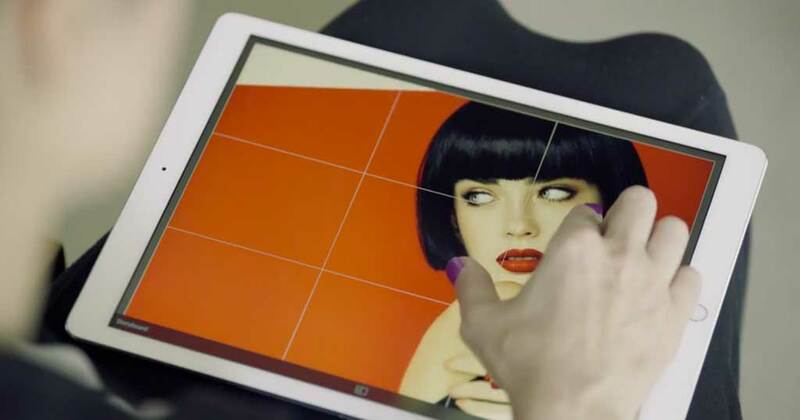 Points of Interest – pop-up text, image and video hotspots that add an extra dimension to photos. Great for calling out product details. Scrollmotions – touch-controlled video that brings products to life. Great for virtual walkthroughs, product 360 images, time-lapse demonstrations and more. Compare – Seamlessly compare two images side-by-side. Great for showing before and after results, product reveals, and charts and graphs. Email Capture – instantly capture customer information using the MailChimp integration. Information can be collected anywhere and automatically gets added to the user’s MailChimp account. File Sharing Integration – integrations with Box and Dropbox make importing existing photos and videos into Ingage a breeze. There’s no need to save large image and video files to iPad. Public Sharing – one-touch sharing to anyone, on any device. Natively share to other iPad users or send a custom weblink to view as a beautiful, interactive webpage on a phone or computer. Ingage is now available for immediate download on the App Store. The app is free to use, with a paid version containing additional features such as email capture available for $14.99 monthly subscription, purchased in-app. Scrollmotion is the industry leader in interactive content creation through its unique combination of software and storytelling. Its software platform, Ingage, is used by businesses to quickly create and share highly engaging interactive content. Its creative agency, Scrollmotion Blue, works directly with clients to design interactive experiences in support of focused business objectives. Scrollmotion is a member of Apple’s Mobility Partner Program, created to help companies leverage iOS in the workplace. Its clients include Apple, Genentech, General Motors, GE, JPMorgan Chase, Mary Kay and Verizon. For more information, visit www.scrollmotion.com and www.smblue.com.